What needs to be taken into account when designing a Feed-in Tariff? First, a clarification of what a feed-in tariff is – and what it is not. This policy instrument has become so successful and popular that policy makers sometimes claim to have established a feed-in tariff even though this is not the case. Other than classical tax and investment incentives, the most frequently used support mechanisms for renewable electricity are feed-in tariffs, net metering, preferential tariffs, quota based mechanisms (based on certificate trading) and tender systems. These mechanisms can be grouped into price-based and quantity-based support. Tender mechanisms and quota obligations – also called Renewable Portfolio Standards or Tradable Green Certificate schemes – are quantity-based mechanisms because the legislator fixes a certain quantity that has to be provided by certain market actors. Feed-in tariffs, net metering and so-called preferential tariffs are all price-based support instruments. In order to qualify for being labelled a feed-in tariff, the support instrument in place should consist of at least the following design options: a purchase obligation, and a stable tariff payment which is guaranteed over a long period of time. First, the purchase obligation obliges the nearest grid operator to buy all renewable electricity – independent of electricity demand. Second, the renewable power producer is guaranteed a certain amount of money per unit of electricity that is produced. Third, this payment is guaranteed over a long period of time (usually 15 to 20 years), which increases investment security and allows for cost amortisation. Feed-in tariffs should not be confused with net-metering mechanisms, another price-based support instrument. Net metering is a concept mostly applied for the promotion of decentralised solar electricity in many regions of the USA and other parts of the world. Under this support scheme, independent power producers have the right to get connected to the grid and the local utility is obliged to purchase all excess electricity – that means all electricity that is not needed for local consumption. The name of the support instrument refers to the meter measuring the electricity consumption. In the case of most net metering schemes, the meter starts turning ‘backwards’ once excess electricity is fed into the grid. In other words, for each unit of electricity delivered to the grid the renewable power producer ‘receives’ the equivalent of the retail electricity price. However, this electricity price for final consumers is not fixed and not guaranteed over a long period of time. Therefore, a net metering mechanism lacks two important components of a feed-in tariff and therefore offers a lower degree of investment security. Feed-in tariffs should also not be mistaken with so-called preferential tariffs, as they are paid in some Indian provinces and other parts of the world. In the case of a preferential tariff, the remuneration level is fixed by the legislator. However, in contrast to a feed-in tariff mechanism, the tariff level is not guaranteed for a long period of time. Instead, the legislator can change the remuneration level on an annual basis. Therefore, one of the essential components of a feed-in tariff is missing. Today, feed-in tariffs – as defined above – are applied in a large number of countries, regions, or provinces, including Africa, the Americas, Asia, Australasia and Europe. Besides the aforementioned mandatory component, a feed-in tariff mechanism usually includes a large number of additional design options. This includes basic feed-in tariff design options, design options for improved market and system integration, and for emerging economies and developing countries. One of the most urgent questions legislators usually have is how to get the tariff right. Well functioning feed-in tariff mechanisms are calculating the tariffs based on the technology specific generation costs. In order to do so, the legislator needs to analyse the costs for renewable power generation based on a large number of costs components, including investment costs (together with material and capital costs), grid-related and administrative costs (grid connection cost, costs for the licensing procedure, and so on), operation and maintenance costs, and fuel costs (in the case of biomass and biogas). This way, the legislator can calculate the tariff level a renewable electricity producer needs to reach a certain profitability threshold. More design options need to be considered in countries which have already reached a certain share of green power through political support. In addition to tariff differentiation according to technology, more mature feed-in tariff mechanisms also offer differentiated tariffs depending on the size of the power plant or even the location in order to avoid windfall profits. Moreover, the automatic, annual reduction of feed-in tariffs has become international best practise, at least in the case of technologies such as solar photovoltaics (PV). Through this so-called tariff degression the legislator aims to anticipate technical progress, economies of scales, rationalisation and the overall learning potential of a given technology. Some countries have also indexed their tariffs to national inflation in order to further increase investment security. Design options for improved market and system integration have become increasingly important in order facilitate the integration of renewable electricity into the existing power system and market. These design options usually improve the ‘quality’ of electricity supply, meaning that electricity supply better match electricity demand and that grid stability will be improved. Design options for improved system and market integration include alternative sales options (e.g. spot-market sales and premium feed-in tariff), tariff payment for improved system integration (e.g. tariff payment for auxiliary grid services and demand-oriented tariff payment) and regulations for controlling power output (e.g. forecast obligations and remote-controlled power output). These design options have primarily been implemented in countries with a large share of renewable electricity, including Spain, Germany and Denmark. As feed-in tariffs are becoming increasingly popular in developing countries and emerging economies, the design should also reflect the typical features of the electricity system in those countries. The beauty of feed-in tariffs is that they work both in liberalised and non-liberalised power markets – the latter is the standard in most emerging economies and developing countries. In addition to the aforementioned general design options, developing countries might need to modify the financing mechanism and decide whether revenues from international carbon trading are taken into consideration when calculating the tariffs. Furthermore, the number of eligible projects might need to be capped in order to better control the costs of renewable electricity promotion. Feed-in tariffs can also serve as a promotion tool for renewable electricity development within mini-grids. Legislators around the world are promoting renewable energy sources for a multitude of reasons. Some of them are related to classical energy policy objectives, such as increasing energy security through the use of local renewable energy sources, environmental protection through the reduction of green house gases, and the stabilisation of energy costs in the longer term. Certain secondary objectives have sometimes been overlooked by analysts, namely the political objective to increase the number of market actors and to establish a strong national industry in an ever expanding international market. Increasing the number of actors has been a political objective for all countries that have established a liberalised power market, as competition is expected to reduce costs. In the EU policy makers initially hoped that liberalisation alone would increase the number of actors and thus create competition. These hopes, however, have faded and liberalisation eventually leads to a concentration process on the European power market. Nowadays, a few, large-scale utilities are dominating the European market. Surprisingly, it has not been liberalisation policies but renewable energy policies that have managed to increase the number of actors in European power markets. Because of the high degree of investment security, feed-in tariff mechanisms create favourable investment conditions for a heterogeneous group of players, including utilities, small and medium sized companies and even private persons. In Germany the national utilities are losing a market share of roughly 1% every year to new, small-scale and independent power producers. The province of Ontario in Canada is also trying to bring new actors into the power business. The regional feed-in tariff mechanism even offers a slightly higher rate for community based projects and projects financed by the aboriginal population. Legislators have frequently implemented feed-in tariffs to establish a strong national industry and harness the related macro-economic benefits, such as job creation. First mover countries, i.e. countries that have started to promote renewable electricity generation at an early stage, were generally able to achieve these objectives. Denmark started to promote wind energy with preferential tariff in the 1980s and today the largest wind power company world-wide is Vestas from Denmark. Germany implemented the first feed-in tariff mechanism in 1990 and today the renewable electricity industry comprises of 300,000 employees with a turnover of more than €33billion – mostly export activities. It is often argued that so-called ‘laggard countries’, i.e. countries where political decision makers have only recently focused on green electricity promotion, often cannot generate the same macro-economic benefits because technologies will be primarily implemented from other countries with a first mover advantage. 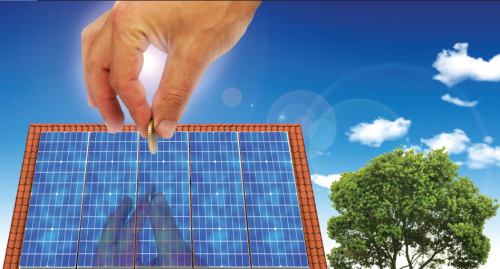 However, feed-in tariff design can also contribute to establishing a strong national industry, even today. Ontario is trying to do this via national content requirements, meaning that power plants need to include a certain share of locally produced components to be eligible for tariff payment under the feed-in tariff mechanism. Legislators who wish to follow this approach of course have to respect international trading regimes, such as the World Trade Organisation (WTO) agreements. Today, a number of Asian countries, including Malaysia and Taiwan, are also trying to establish a national green power market via feed-in tariffs. Those countries traditionally have a strong export industry for renewable electricity systems, especially of solar PV. However, governments have realised that it was risky to exclusively rely on exporting markets, especially as support instruments in European countries have frequently been amended or cut, and therefore entire export markets have disappeared over night. The establishment of a national market can serve as a cushion for the national (export) industry. So why are feed-in tariffs so fabulous? First, they have proven to be the most successful support instrument for renewable electricity. Second, feed-in tariffs can be designed flexibly according to the framework conditions of the national electricity markets and according to the specific national energy policy objectives. They can be designed in order to include an increasing share of renewable electricity and according to the needs of developing countries and emerging economies. Third, feed-in tariffs have helped to create national markets for the manufacturing industry, thus leading to a number of secondary macro-economic benefits such as job creation. Finally, they have also helped to ‘democratise’ energy markets by allowing a large number of actors to participate in the power generation business, including small and medium size companies, farmers and private persons. David Jacobs is researcher at the Environmental Policy Research Centre (FFU) of the Freie Universität Berlin. Besides, he is co-author of the book Powering the Green Economy – The feed-in Tariff Handbook (Earthscan, November 2009). This article about feed-in-tariffs certainly sounds good, but it’s not all good news and unfortunately the article does not point out the negatives of the feed-in-tariffs. There are many other factors that legislators (and ratepayers) also need to take into “consideration when designing them.” For example, if a feed-in-tariff policy is implemented, how much would it increase the rates for everyone else in order to pay the renewable power producer a premium for their clean power? Considering the increasingly high number of people that are unemployed and the fact that we are in an era with the highest rate of people currently living in poverty, is it ethically sensible to expect and demand that these people pay higher rates to support the feed-in-tariffs? The feed-in-tariff policy would essentially be structured similar to a regressive tax system, where the lower income people are required to pay more so that the upper income people (and businesses) can receive a benefit and end up paying less. Is this why the feed-in-tariffs don’t work in developing countries, because there are simply not enough people who can even afford the privilege of having electricity, no less paying more to support a feed-in-tariff policy? Then there’s the whole problem with the feed-in-tariff time limits. The program is designed to pay renewable power producers a premium for the next 15 to 20 years (which the author refers to as long-term) which also means (but not said) that ratepayers are going to be required to pay higher rates for the long-term, and as the number of renewable power producers increase (as a result of the feed-in-tariffs) the more the rates will have to increase for everyone else in order to support the feed-in-tariff policy. But what happens after the expiration date of the feed-in-tariffs? The answer is “NOBODY KNOWS.” When the feed-in-tariff policies expire some (possibly many) older renewable power producers may not be able to afford required upgrades to their systems, therefore, it is highly probable that many renewable power producers may literally go off line. Utility companies will then be expected to invest in expanding their capacity to make up for this deficit, at an increased cost to the ratepayers of course. Think about it.....who came up with the idea of a feed-in-tariff? Even if we assume that their motives were well intended and sincere, it doesn’t mean that we shouldn’t demand anything less than a policy that is totally balanced, transparent and sustainable. Would the Assembly be interested in the technology as used by real Space Craft (UFO) to tap energy out of the aether? I suspect that Tesla used it to power his Pierce Arrow Car in 1931.